If you've seen my book list, you probably know how much I love history. I love to research it, find out what life was like for people in those times. 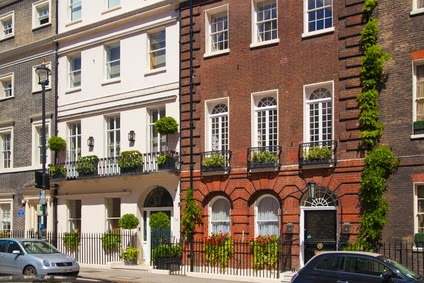 My first favorite location to research in London in the early 1800s, the Regency era. I have yet to go there, but I can't own enough books about London. Recently, I delved a little closer to home. Well, home a few years ago. I set a Civil War story in the Missouri Ozarks. I chose the location of Wilson's Creek because it had a battle there, and because I drove past the area going to and from work for about a year. Did I ever go visit Battlefield National Park? No. That would be too easy, right? I also didn't visit the Laura Ingles Wilder museum. Rather than experience the setting, I'm reading about it, just like London. You'd think I'd write about the history close by, wouldn't you? 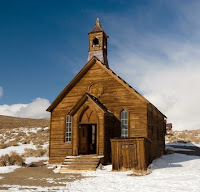 Central California is rich with ghost towns, like Bodie. I went there once as a child with my family. I'm hoping to take my granddaughter when she's old enough to enjoy it. We can go north to the gold rush towns, go south to the Spanish roots of Los Angeles. Take a weekend trip and visit the missions along the coast. I have a picture of me ringing a bell at some mission when a neighbor took her daughter and me to visit. I don't remember much about the trip, or any desire at the time to know more about the history. I think we tend to overlook our backyards when we want to experience somewhere loaded in history. Or is it the glamor that calls to us? Kings and queens and dukes are much more exciting to read about than a ragtag bunch of men, whether they're fighting a battle or panning for gold. Do you know the history of the town or city where you live? Have you toured any of the historical landmarks, or do you prefer to explore far from home? I'll give away an ebook copy of The Lieutenant's Promise, my Civil War novella set at Wilson's Creek, Missouri. 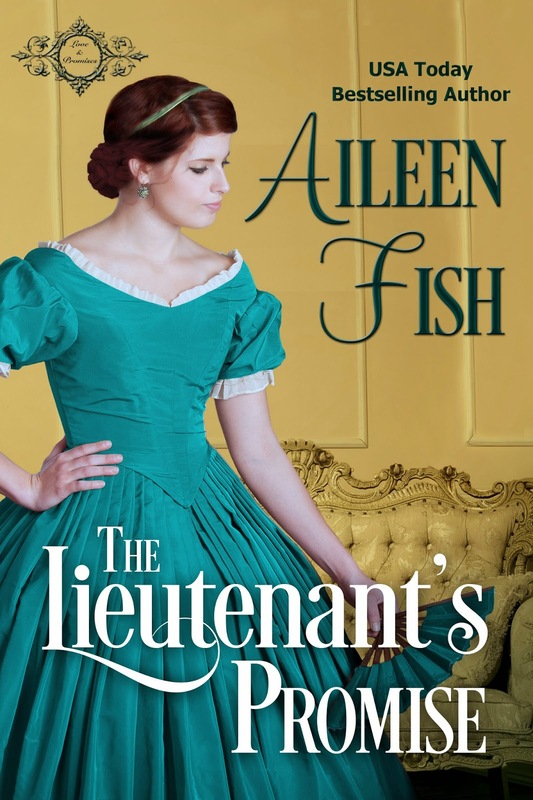 Stay up to date with book releases at her website http://aileenfish.com or on Facebook. Fun post, Aileen. I love to explore the history of places. One reason I chose an area of Long Island where several of my books are is the rich history there going back to Revolutionary times and even has had buried treasure found from the pirate/privateer days. What a cool post, Aileen! I can see why you write such wonderful stories! Thanks, ladies! I'm glad you enjoyed the post. Aileen, I enjoyed your post. I've lived in a lot of places in the US and have enjoyed the history in those places. I live near Tombstone now and visited there a couple of years ago. We used to live near Boston, and that city is filled with history upon history. When we lived in FL, there was a civil war fort only a few miles from our home. I've never written historicals, but I certainly love history. Loved the post. I didn't care much for history when I was in school, but once I became addicted to reading, history was in my bloodstream. Boson is somewhere I'd love to visit, Merrilee. Hi, Deb! I agree, it's in my bloodstream, too. Right now I'm writing a book set in the north woods of WI where I live. I love local history! I've always loved history and I need to visit more historical places here in the southwest. The last time I tried to visit Bodie it was June 1st and the pass through Yosemite to Nevada was still closed. Oh, for the historical days when California had a big snow pack! I lived close to where Jefferson Davis retired after the Civil War but never visited the beautiful home until I was visiting after I moved away. 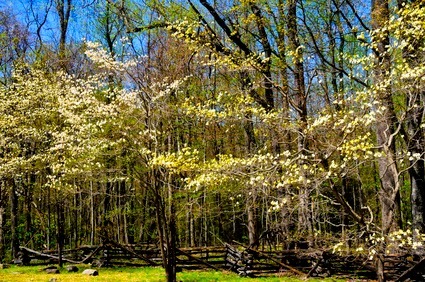 As a little girl I used to play in Henry Clay's garden in Lexington but never went inside.